Windward has a global reputation as one of the leading suppliers of used printing and finishing machinery worldwide. Servicing companies around the globe, Windward has supplied quality used machines from the industry's leading manufacturers to the printing industry for more than 20 years. To find out more about what we do, please contact us. 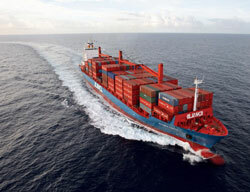 Windward Used Printing Machinery Ltd offer a worldwide logistics service to all our clients. The most complex Offset presses and bookbinding equipment can be dismantled and shipped to any destination worldwide by surface or air using the worlds leading logistics companies. For Further information about the type of service that is right for you, please contact us. Windward Used Printing Machinery Ltd can provide engineering services worldwide. Using independent sub-contractors specialised in the machine you purchase, it means you recieve the very best in workmanship and technical knowledge as well as a cost effective solution for parts and extra services that you may require in the Future. To get the best from your investment, your operator's must be brought up to speed quickly on all the functions of your new machinery. 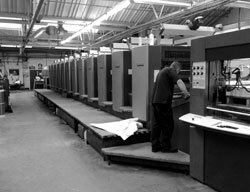 Windward offer full operator training using specialist demonstrators, on all offset presses and bookbinding equipment to ensure that you are in full production as quickly as possible after installation. 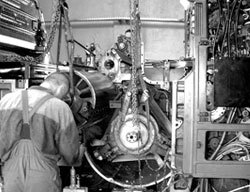 Windward Used Printing Machinery Ltd uses skilled service technicians worldwide to take care of your machinery once installed. Your investment needs to be protected after installation against costly down time and therefore increasing the amout of time your equipment can be used. Please contact our head office to locate your nearest contact.